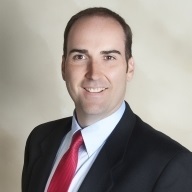 Adam began his insurance career in 2006 by joining Mackey & Mackey. Prior to this he spent several years managing two high volume restaurants and later teaching English at Fresno City College. He received his B.A. from Westmont College in Santa Barbara and did his post-graduate work at California State University in Fresno. He has earned several professional designations, including Certified Insurance Counselor (CIC), Certified Risk Manager (CRM), and Certified Insurance Service Representative (CISR). He uses the knowledge gained through these activities to provide his clients with comprehensive insurance and risk management programs. Adam recognizes that many people don't necessarily like to think about insurance; that’s why he provides his clients with a “hands on” insurance experience. He is dedicated to clearly answering client questions, and helping them understand all aspects of their coverages, so they can make the choices that are right for their business, farm, or family. He believes that proper insurance protection isn’t just another bill; it’s the peace of mind, so that after circumstances take an unexpected turn, lives and businesses can be rebuilt.